Students - This may be the first time I have posted a poem picture here that was not taken or drawn by someone in my family or by a good friend. But it's a clear and beautiful image of Pluto, and so I could not resist. This past Tuesday, July 14, 2015, the New Horizons spacecraft flew by Pluto, and it was the first spacecraft to do so. It took nine and a half years to make the three billion mile trip, and they did it. When I listened to the news on Tuesday and Wednesday and saw the Pluto pictures, I knew that I would write about this exciting day and event. Every single day, millions of interesting things happen in the world. By reading or listening to the news, a writer can find many many ideas. Try taking a peek at the newspaper or listening to radio news. You might watch a bit of TV news or check out a news site here online, and let it inspire a new poem or piece of writing in you. This week I was over the moon excited to receive my contributor copies of the latest book by Lee Bennett Hopkins - JUMPING OFF LIBRARY SHELVES. 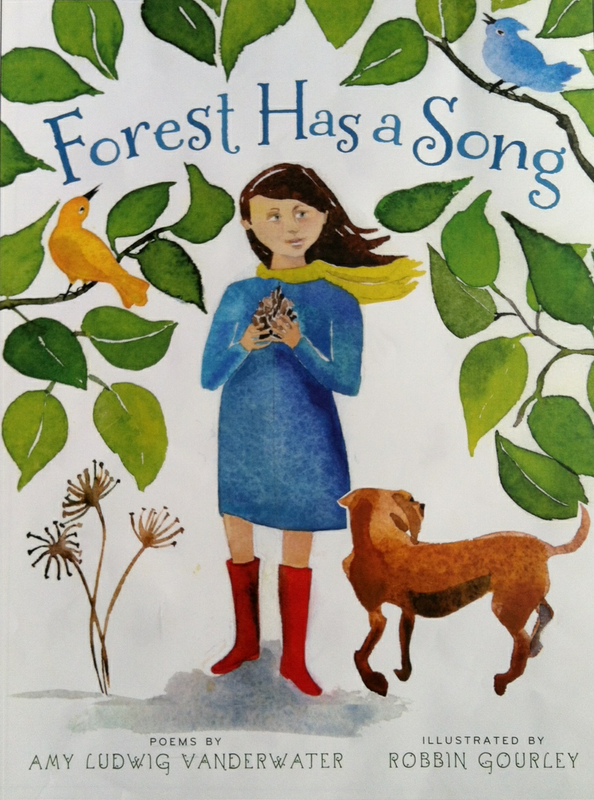 Gorgeously illustrated by Jane Manning, this is a warm, wise, and whimsical celebration of poems celebrating the goodness of libraries. My poem, "Book Pillows," could not be happier to be included, and I am looking forward to September when the book is available. Today, though, I am offering a giveaway to a commenter on this post. Simply comment with a way to reach you below, and I'll draw one name on Thursday evening and announce the winner next Friday. If you'd like to see how the Favorite Poem Padlet is growing, click here to check it out. You can still add your favorite. Just double click anywhere on the gray with your left mouse button, and begin typing! 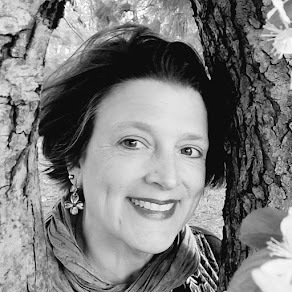 This week's Poetry Friday party is with Kimberley over at Google +. Visit there to read a beautiful poem and to learn about links to poetry goodness all around. I grew up with the excitement of the Apollo program, and I felt a return of that thrill of discovery this week as I listened to and read all the news reports about Pluto. I love "your sweet dwarf planet face." Thanks for sharing, Amy! Excited to see this new book! We have our first grandchild coming in January! 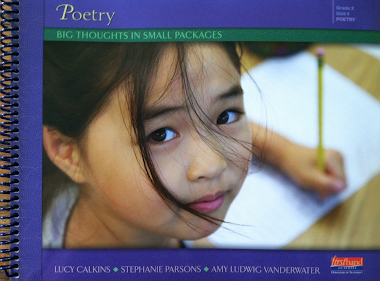 I am assembling the collection of poetry books I will be gifting this child over the years. Guess which ones will definitely be on this list? Forest and Manger are on the top! And your new ones once they are out. I already gave Lullaby Kisses when my son and his wife arrived to announce the news. I had NO idea a baby was a consideration yet (duh) and had bought 2 copies, only just arrived at that time, one to keep and enjoy and one to gift. Was that meant to be? Baby's first book is a poetry anthology filled with work by so many poetry friends I know and others I hope to meet some day. Happy summer to you and yours. Not heading to ILA this year nor NCTE. But some day. If you see Vita please give her a hug, and all my other favorite folks! Congratulations on "Book Pillows"! "Jumping Off Library Shelves" looks like a fun collection. Must go check it out - it's time to start my grandchildren's collection! Isn't it just amazing that we've waited nearly ten years for this? The scientists are ecstatic that it all worked. How nice that you wrote about it, Amy! 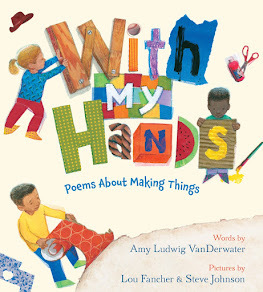 And congratulations on your poem, "book pillows" in J. Patrick Lewis' new book. I'm sure it will be wonderful. Going over now to check out the padlet! I wish I had been in school this week to watch and share all the great science news. It's just better with kids. I am so excited about your new poem publication. Congratulations. I'd love a copy for your biggest fans in Louisiana. That is a poetry inspiring photo and science story! Such a long journey for a brief (and amazing) encounter--I like the way your poem captures that. Congratulations on your "Book Pillows" new book! I love your Pluto poem, Amy. It's so much fun to read aloud! Congratulations on "Book Pillows." Lee's anthologies are always wonderful. I can't wait until it's available! Congratulations on your poem's place in an anthology I hope will jump off the library shelves. "Book Pillows"--hmmmm...I am imagining what you wrote, just like people imagined what Pluto was like until getting to see for themselves. I love your poetry Pluto celebration! And I like how you mentioned that by listening to the news, we can come up with ideas. I adore NPR and find their writing so descriptive and heartfelt even though it's non-fiction. 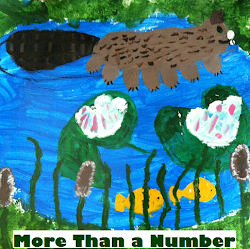 I see it as a mentor text, an idea generator, and even something to compare and connect with. Thanks for sharing! As a librarian a poetry books about the "goodness of libraries" makes we swoon. Can't wait to add this to my school library. Love the Pluto poem. Can't wait to read Jumping Off the Library Shelves. You are an inspiration. I want to share your Pluto poem with the science teachers at my school. I think they'd love it. 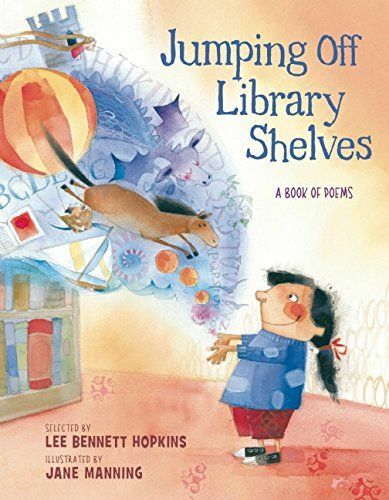 Can't wait to see JUMPING OFF LIBRARY SHELVES- what could be better than poems about books? Love this, especially the link to a current news story. Can't wait for the September release. Hope you are enjoying the glorious summer weather!